Get more peace of mind with the Everpure H-104 water filter. Designed with the unique Micro-Pure technology, the H-104 offers healthful, great tasting water. The Everpure H-104 Quick Change Replacement Cartridge fits Everpure H-104 Drinking Water System. Featuring the exclusive Micro-Pure Filtration Media. Also known as part numbers H104, EV9612-11, EV961216, and EV9612-16. This is a replacement part for the Everpure QC4-BH system. The Everpure H-104 reduces limescale build-up in water using appliances based on testing. The Everpure filter cartridges have an outer pressure shell that is made from aluminium, which offers benefits of being both lightweight and able to withstand higher pressures. The outer surface of aluminium filter cartridges are relatively soft and therefore susceptible to scuffing, scarring and carbon spotting which can occur during the production process, as well as small indentations where the filter cartridges are gripped. Oxidation can also occur around the outer surface of the cartridges at certain times of the year due to humidity changes as they are shipped between cold and warm environments. These are nothing more than cosmetic blemishes and do not affect the cartridge's performance. There is also a tendency for some residue of the carbon powder(used inside the cartridge) to settle near the top, this is just a bit of excess and can be wiped away. Removes Lead to below the Federal Action Level of 15 ppb, & Asbestos fibers, Cysts such as Giardia Lamblia, Entamoeba histolytica and Cryptosporidium parvum. I will be buying this product forever! A wonderful product. This filter makes the water taste great! This is a filter that gives you 1000 gallons of good clean water. More bang for the buck, would recommend this product for any purpose. A: No. The Everpure H-300 does not remove or reduce fluoride. Q: can i replace this ge mwf/gwf hotpoint hwf filter? A: You might get away with one year. We have four here, and it seems I need to change it twice each year. 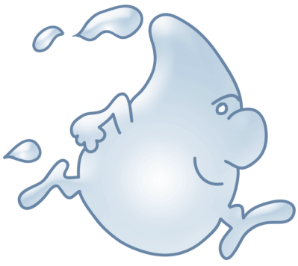 A: Water filters are made for a year of "normal" use. They have a battery sticker that comes with it that starts beeping promptly one year later. But every water filter of various types is geared for a year. It's like a filter for your air vents; change yearly. Most of us ink out a few more months or so since we can't see if they need it or not, and we figure it won't hurt. Good luck. A: We have it in the kitchen for two people and it needs replacing, according to their directions, once a year. We have sometimes replaced it sooner if the water flow slows noticeably. A: I have 3 people living in my house and I replace the filter once a year. A: As a user for the past five years, also with two in the household and normal usage, we change this filter once yearly. It filters both our sink drinking tap as well as our ice maker. Once a year seems optimal. A: We are not sure what you are asking. The prices for our items are shown on the website. Q: EV 9612-501 everpure 3000.Galen the price? A: Both of these cartridges will work in the same systems, but they work a little differently. See the features listed below: The H104 features: 1/2 gallon per minute flow rate 1000 gallon capacity Removes Lead to below the Federal Action Level of 15 ppb, & Asbestos fibers, Cysts such as Giardia Lamblia, Entamoeba histolytica and Cryptosporidium parvum. Chlorine taste and odor Dirt and cloudiness Mold and algae Oxidized iron Oxidized manganese Oxidized sulfides Particles 1/2 micron and larger in size Limescale build-up in appliances that use water The H300 features: A 1/2 gallon per minute flow rate A 300-gallon capacity Finely polishes treated water to premium quality for drinking and cooking. The Everpure H-300 Reduces chlorine taste and odor and chloramines. The Everpure H-300 Reduces dirt, rust, asbestos fibers and other particulates such as oxidized iron, manganese and sulfides. Reduces parasitic protozoan cysts such as Giardia, Entamoeba, Cryptosporidium. Controls even extreme levels of common tastes and odors, including those which are earthy, moldy and fishy. The Everpure H-300 Reduces lead to below the Federal Action Level of 10 ppb. The Everpure H-300 Effectively reduces Volatile Organic Chemicals (VOCs), including Trihalomethanes (THMs). KDF Media reduces limescale build-up in water-using appliances as tested by KDF Fluid Treatment, Inc. KDF Media provides bacteriostatic control as tested by KDF Fluid Treatment, Inc. Health Claim Performance Certified by NSF/ANSI This system has been tested according to NSF/ANSI 42 and 53 for the reduction of the substances listed below. The concentration of the indicated substances in water entering the system was reduced to a concentration less than or equal to the permissible limit for water leaving the system, as specified in NSF/ANSI 42 and 53. A: Best price, no CA tax and reasonable shipping. 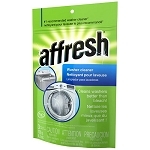 A: I have used this product for years and I feel its the best filter system on the market. A: It replaces the existing filter that was in the house when we bought it. A: It has worked well for a year and it's time to replace. A: There is no after taste, just clean, clear water. Great product. A: Priced right, no shipping charges. A: what I've always used with my filtration system. Very good. A: It fits my filter system. I want clean water. The price at this company seems fair. A: because it gives me a better quality and clearer water before i run it through my levlux ionizer machine to make Kangen Water. A: Best price for an under sink filter that is replaced once per year. A: I've has this system for 14 years and not one complaint, ever! A: I have an Everpure unit at my house and I love the water it gives me. A: Great price, quick website, quick shipping, what could be better? Q: How often should the filter be replaced in a kitchen for 2 people? Tried to download the manual and it won't work, as someone else pointed out. Have a look. Q: When will you be getting in stock? A: Everpure has become very selective as to whom they will be selling their products. At the current time we ware unable to obtain this item and do not have an ETA as to when it may be restocked. A: The item you are looking at is the correct filter. It is also known as part number EV9612-16. The 3L 1113 is the unique serial number for that filter. Q: what is the different between H104 and H300? will H104 replace H300?